Microwave hybrid circuitry is generally built by integrating several discrete die via wire bonding. Circuit designers are faced with the task of predicting the performance of hybrids, which comes with some specific challenges. Most RF/microwave MMIC dice are built with “ground-signal-ground” bonding pads at each of the RF ports to correspond with the terminals of a die probe and allow accurate extraction of S-parameters. 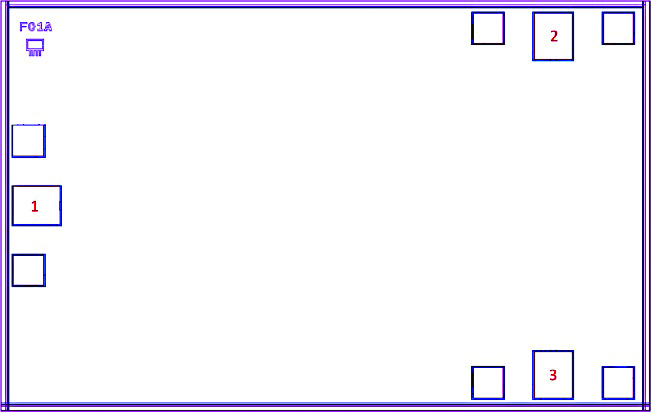 In some die, however, ground pads are omitted, usually to reduce the die size. In such cases, connection of a die probe is not possible, making accurate measurement of die performance time consuming and costly. 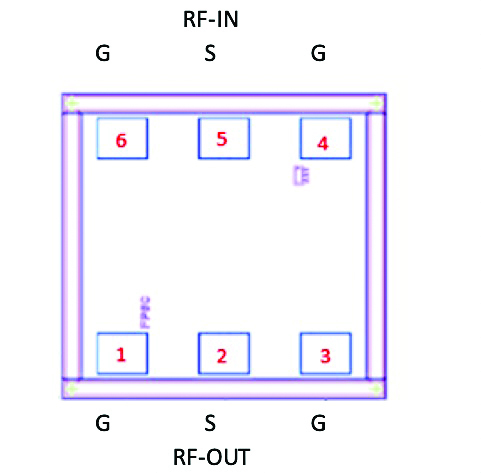 Figure 1 shows the bonding pad layout of a MMIC 2-way 0° splitter die (Mini-Circuits model EP2KA-DG+), with three RF ports. The pads marked 1, 2 and 3 are RF ports and the unmarked pads adjacent to each of the RF pads are ground pads. Die with RF ports in this configuration accommodate connection to die probes for measurement and extraction of S-parameters. To characterize die without ground-signal-ground pads, industry practice is to use a solid metal carrier and a PCB (Figure 3). The PCB is specially designed with a cut-out to house the die; connectors can be added at the ends of the transmission lines, or if the PCB design is coplanar, ground-signal-ground terminals can be added to probe the ends of the transmission lines. However, this method requires design and fabrication of a custom PCB and soldering of the die carrier to the PCB, which is both costly and time-consuming. Mini-Circuits’ KAT-0-DG+ is an ultra-wideband 0 dB attenuator/thru-line die available from stock. It is part of the KAT family of attenuator die, specified to operate over DC to 43.5 GHz. 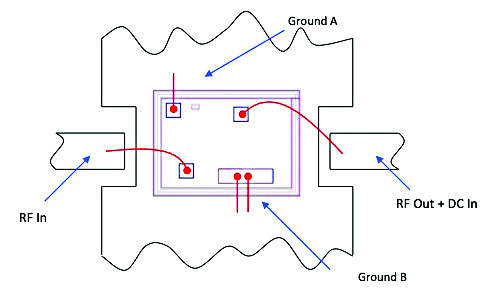 The die measures only 0.7 x 0.75mm and has ground-signal-ground pads for RF input/output ports (Figure 4). Pads 2 and 5 are RF-IN and RF-OUT pads, respectively. Pads 1, 3, 4 and 6 are ground pads. Let’s say for example that we want to characterize the S-parameter performance of the 2-way splitter die shown in Figure 1. Figure 6 shows a setup with KAT-0-DG+ die wire bonded to each of the three RF ports of the DUT. Die probes are connected to the other terminals of the KAT-0-DG+ dice. All dice shown in Figure 6 are mounted on a metal plate with conductive epoxy. Because the KAT die act as thru-lines with minimal effect on performance, this configuration allows accurate characterization of the DUT, including the effects of the wire bonds that would be absent if the DUT were probed directly. For DUTs without ground-signal-ground pads, some or all of the ground wires are omitted depending on the die design, and the rest of the process is the same as above. 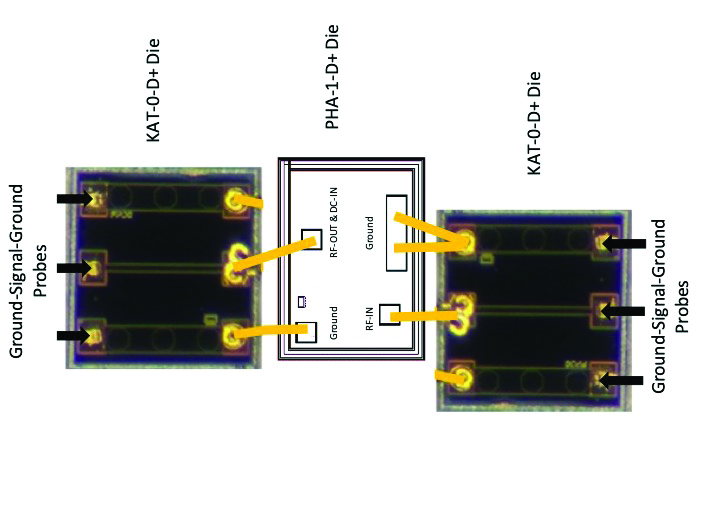 The amplifier die from Figure 2 (PHA-1-D+) is shown in Figure 7 with KAT-0-DG+ die wire bonded to the RF input and output ports. Here, the addition of the thru-line die includes the effects of wire bonds on the DUT performance and also essentially functions as an adapter between the DUT pad configuration and the ground-signal-ground terminal configuration of the die probe. This eliminates the need for custom PCB design and fabrication, saving significant time and cost. 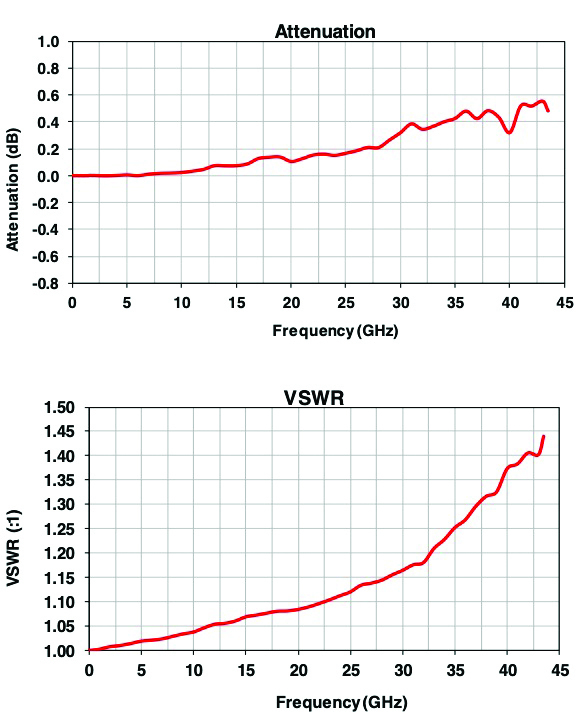 Traditional methods of die characterization present challenges in accounting for the effects of wire bonds on performance and in measuring dice without ground-signal-ground pad configurations at RF terminals. 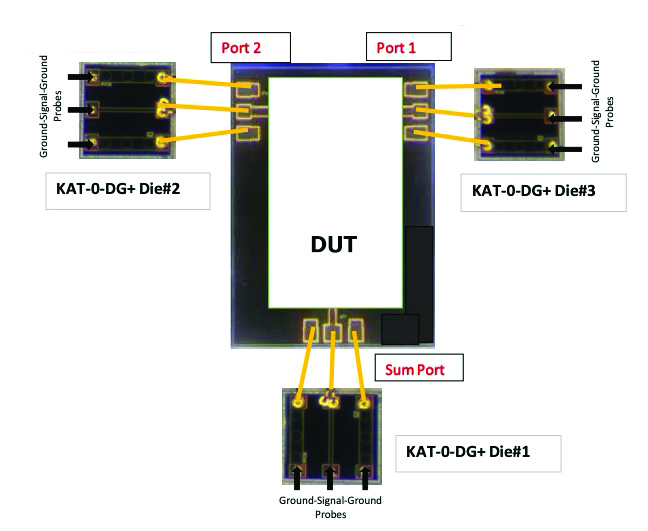 Mini-Circuits’ commercially available thru-line die, KAT-0-DG+ may be used by hybrid designers as shown in this article for die characterization including wire bond effects, and for simplifying measurement of die without ground-signal-ground pads.